How dearly do you love your beautiful teeth? If the answer is a yes, then you should care for them through strict oral hygiene and regular dental visits. On the other hand, if you do not look after your teeth and ignore regular brushing and flossing, plaque will tend to form and gradually harden into calculus (tartar). The end result would be the development of teeth cavities and gum diseases. What Happens When You Have Gum Disease? Gum disease can cause gum inflammation, pain, bad odor, discolored gums and can mar your smile. Your gums become Inflamed and gradually start to loosen, ultimately forming (periodontal) pockets. Calculus, or tartar starts forming inside these pockets and bacteria get a safe sanctuary where they thrive. Ligaments and the bone tissue holding the teeth firmly start getting damaged, teeth become loose, and may even have to be extracted. If you have not care for your teeth before, this is the last and the final call to action. What to do If you Have Gum Disease? When periodontal pockets develop the first treatment option normally is‘cleaning and scaling’ (also known as root debridement). This can be done manually with an ultrasonic instrument. 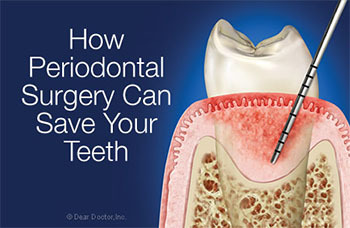 If this procedure does not work,then periodontal flap surgery is the best option. Flap surgery is nota cure for periodontal disease, but it does help you check further degradation and retain your current level gum health. Regular hygiene and dental care at home along with professional treatment can allow you to maintain dental health. Removal of Diseased Tissue – the immediate goal is of flap surgery in order to completely eliminate or reduce the gum pocket. An incision is made in the gum tissue and the diseased tissue is removed from the inside of the gum flap already formed. The tooth root under the gum is thoroughly cleaned of any tartar and its surface smoothed. This smoothing called root-planing is to prevent easy formation of plaque in future. The gum flesh is then pulled back over the root and sutured in place. Antibiotics may be advised and healing is quite fast. The procedure is normally done under anesthesia. Regeneration of Gum and Periodontal Tissues – The second (longer term) goal of this procedure is the regeneration of the periodontal ligaments and the bone tissue already lost. Many techniques are available for thisBone grafting and factors are high-tech methods of achieving this purpose. These methods can help restore your gums back to their normal form and function, restore your smile, and promote healthy and firm anchoring of your teeth. Administration of Anesthesia – flap surgery is normallycarried out under local anesthesia and may sometimes be accompanied by oral anti-anxiety medication. If necessary, flap surgery may have to be performed under intravenous conscious sedation. Once anesthesia has taken effect, an incision is made so to separate the affected gums from the teeth. The gum tissue is folded back gently to access the roots, supporting ligament and the surrounding bone tissue. 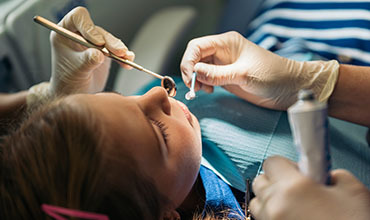 Removal of Debris and Necrotic Tissue – the diseased gum tissue is removed, and the tooth roots are cleaned.Antibiotic or other medication may be applied by the dental surgeon.If there bone defects exist those can be repaired with bone grafting. Incision Closure and Suturing – finally, the incision is closed and the procedure is completed. Regeneration of the periodontal ligament can be encouraged by physical methods (barrier membranes) and chemical methods (oral use of growth factors). Gum flap surgery is very successful if performed by an experienced dental surgeon using state of the art techniques. In case of advanced gum disease it is often the best treatment to contain and mitigate periodontal disease so as to help maintain your oral health. Please visit us at Burnaby Square Dental, our conveniently located office. Our professional Team will be more than happy to answer all of your questions and provide you with the best services if you choose to proceed. At Burnaby Square Dental, we know every person’s dental needs are unique. That’s why we offer a comprehensive selection of treatment options in a comfortable, convenient atmosphere.